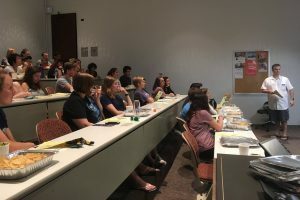 Students gather at this past year’s kickoff event. 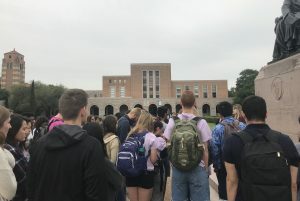 The Rice University Young Democrats is comprised of undergraduate students, graduate students, faculty, staff and community members. 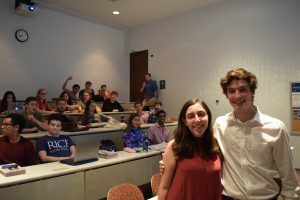 The club is run by student volunteers: 8 board members, 10 college representatives, 13 committee members, over 100 regular members. We are advised by our faculty sponsor, Dr. Craig Considine. We welcome all students who are interested in the Democratic Party; no matter your ideology, you’re welcome to join us at our meetings! 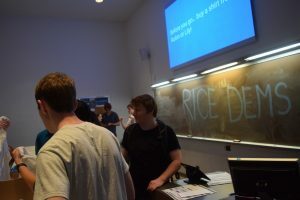 The opinions on this website represent the views of the Rice University Young Democrats and are not meant to represent the views of Rice University.